Cooling towers dissipate heat from recirculating water used in chillers, air-conditioning systems, and other HVAC equipment. They are also referred to as a heat rejection device. It will take waste heat from the atmosphere and through the cooling of a water stream convert it to a lower temperature. 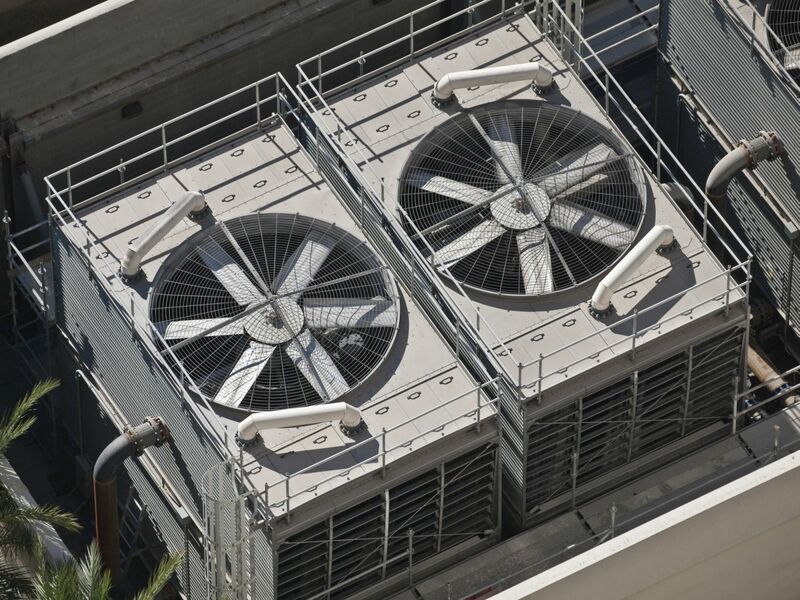 Typical applications for cooling towers are to provide cooled water for HVAC air conditioning systems. At Airreo Air Conditioning we understand that it is more than just making systems work, we recognize that every building has unique conditions required to ensure the comfort health and productivity of its occupants. Your cooling tower in Fort Lauderdale needs to serve your HVAC system efficiently to deliver the right specifications for peak performance. Whether it be new construction or replacement cooling towers, it is important to make sure your system is built to compliment your entire HVAC system for efficiency and longevity. Our expert technicians will evaluate your current system and formulate the best solution for you. If you are building a new structure, we will work with your architects and engineers to design and install the most energy efficient system possible. You can trust our team to provide professional, top-notch customer service and satisfaction throughout the entire installation process. We are proud of our outstanding record, and our technicians are the best in the industry.